West African cities have done nothing but wear on me. They are dirty, loud, and quite often there’s just not a whole lot for tourists to do in them. Still, I need the cities because the reality of West Africa is that there just isn’t a whole lot of internet anywhere else. Moreover, I generally have to spend a couple days getting my visa for the next country. Obviously, I was fully expecting the same hardships and bad energy from Freetown, Sierra Leone. I was wrong. 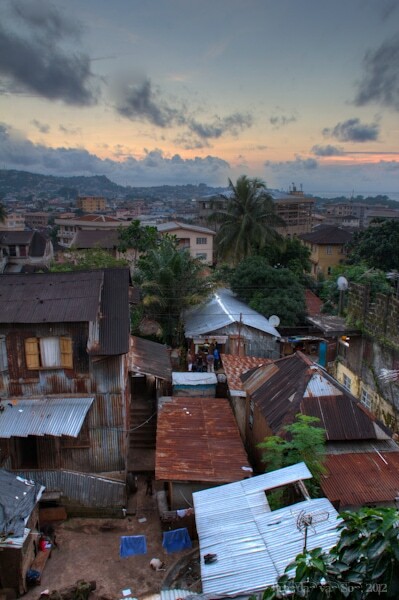 In many ways, Freetown is like the girl you love spend time with, but are scared to take home to your parents. It’s energetic, its exciting, its stimulating, but at the same time its rough, a little foul-mouthed, and has a tough background. Like the other West African cities, it does suffer from problems of pollution, hustlers, traffic, and the usual unpleasantries. But there is something about the frantic chaos of Freetown, coupled with the peaceful beaches that surround it, that is quite endearing. It has a hard exterior, but a warm soft heart. 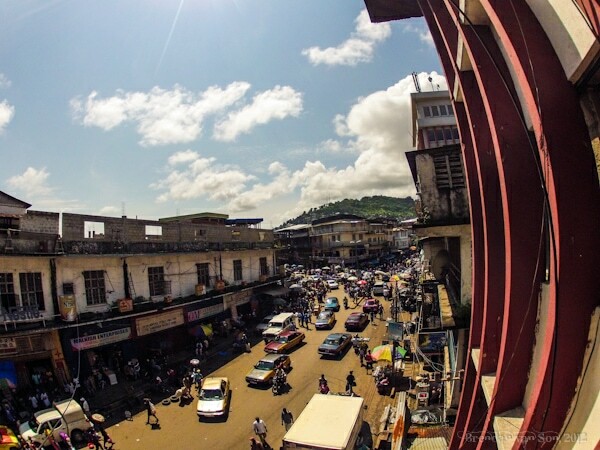 A simple drive up into the hill for a view overlooking Freetown gives a completely different perspective than is seen from the PZ turntable chaos of downtown. Pointed mountains flow carelessly from the sea to form the background to the horseshoe bay where freed slaves were once returned to African soil. Around the bend the beaches of Freetown peninsula begin to lay an outline to the green hills. From atop the hills Freetown looks like one entity, but a tour through the varying neighbourhoods tells a different story. In the old city, wooden houses – remnants of the days of the British – still stand over the narrow roads; and although the paint may be peeling from, their wealthy pride is still exuded. In the East End, the struggles of the city are apparent; crime is high, tin-roofed houses stand along waste ridden waterways and hardships are evident. But among the strife of the East End is a rapidly beating heart; music pumps through the air, salespeople call out their products, and the sound of laughter is almost always on the ear. Across town to the west is another story. The West End neighbourhoods such as Aberdeen seem so far from the East End they almost feel fabricated. As the sun sets, people go for gentle jogs along the beach, or stroll down the pothole-free highway with a dog on a leash. Along this thin strip of sand sits restaurants, bars, and hotels dominated by the variety of expats, aid workers, and embassy staff. 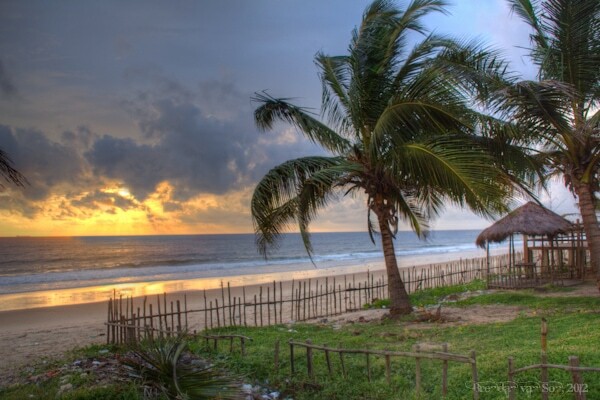 It’s almost an international enclave in the heart of Sierra Leone. Although I’ve only arrived in Sierra Leone a week ago, I can’t help but realize that I had so many pre-conceived ideas about the country, few of which were true. In fact, I think that might actually be the case for much of West Africa. When people ask me why I’ve chosen to travel West Africa my answer has always been “why not?” You see, I don’t like to choose my destinations based on what I know about them. I simply attempt to travel everywhere in hopes of learning something new, learning about the realities on the ground rather than from the media, and hopefully discovering something beautiful along the way. Sure, travelling this way is far from perfect. In some cases you get hit with a wave of challenges as I did in Guinea-Bissau. But I’ve found more often than not, if you give the world a chance, you’ll find some hidden treasures along the way. If I based my travels on where advertisements wanted me to go, where tourism boards were paying me to go, or where the media claimed was safe I feel like I’d miss out on these great finds. And these discoveries are really why we travel aren’t they? So even though most West African cities have let me down thus far, I’m glad I gave Freetown a chance. And although at first I might not have exactly been excited to “bring Freetown home to see my mom“, I’m glad I gave her a fair shot. And now that I have, I’d not only be comfortable showing her off to my mom, but I might even be willing to let them go on vacation together. Frantic Freetown captured my imagination, and I get the feeling it will be tugging at my heartstrings for time to come. Fascinating stuff. Sadly the impression of Freetown I can’t erase is from the movie “Blood Diamond” though I realize a lot has changed for the better. I remain incredibly jealous of your current travels! Which makes me wonder – have you come across any women traveling solo in the area? What’s your opinion of how it would be for a woman? It’s very impressive to browse through your works along with you little adventure you’ve got there. I’m also rather inspired by the positive mindset you have, to pursue your passion often people dreamt of but has no action to it. I would certainly like to follow you through your episodes of adventures and pick up some incredible shooting experience from some strange land I myself have never been but yearned for! Great pictures, with the beach and chaotic downtown contrast it certainly appears like a curious city. Waiting around for visas can be a frustrating time, believe me I know all about it. If only Western African nations could offer something similar to the Schengen Visa. 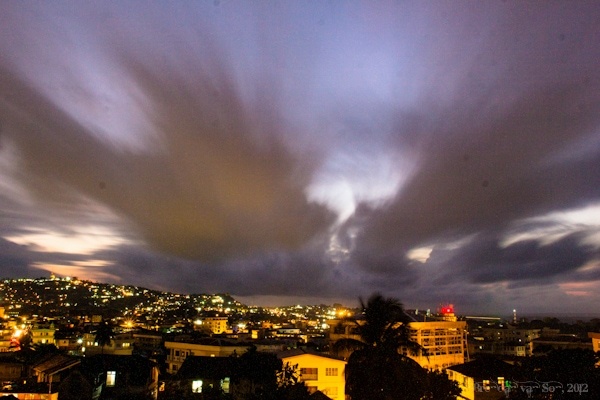 Awesome photos and I love the analogy of Freetown being a girl you can’t take home to your parents. Sounds like a very diverse city.